Back in 2007, Nokia was on top of the world, the recognized leader in cellphone design and manufacturing. Since then, sales of Nokia phones have plummeted and its copycats, including design parasite Samsung, have abandoned the Finnish widget maker. Nevertheless, all might not be lost after all, though the current best selling Nokia handset doesn’t run Windows Phone and is anything but a smartphone, despite the savvy disguise. But make no mistake, the Nokia Asha is a feature phone and a throwback to the years when the company enjoyed surging sales, not just in Asia and Africa, but around the world. 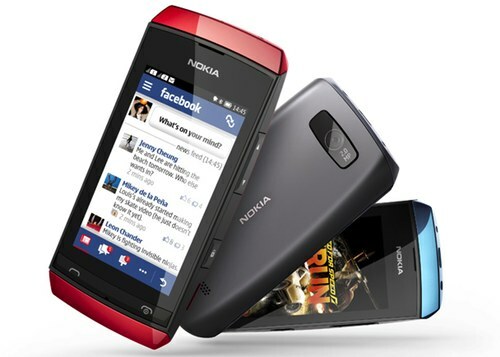 The best selling Nokia Asha is reportedly doing well budget constrained buyers in Asia and Africa. Well enough, in fact, to push up the beleaguered handset maker’s stock price by a fifth over recent weeks. So, how is the Nokia’s Windows Phone-based Lumia doing? The company sold more than 4 million units last year, but that kind of volume is akin to a rounding error for market leaders Apple and Samsung, which moves tens of millions of smartphones every quarter.